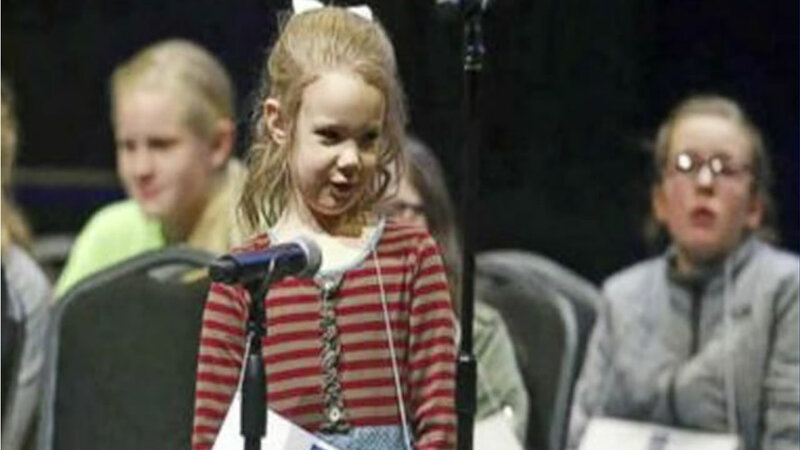 TULSA, OK. (KGO) -- A five-year-old has made history as the youngest person to ever qualify for the Scripps National Spelling Bee. Edith Fuller out-spelled more than 50 competitors to win a regional competition over the weekend in Tulsa, OK.
Before Fuller, the youngest ever competitors were six years old. Fuller, who is homeschooled, will next compete against kids as old as 15 at the National Spelling Bee in May. In case you're wondering, there is no minimum age to compete. Click here for more of ABC7 News' stories, photos, and video on education.